Humidifiers Wiki • The Air Geeks, reviews of air conditioners, dehumidifiers and air purifiers. Hey there, so you want to humidify your home or room and you have questions? That’s not surprising! We’re here to get you the answers you are after. So please read carefully, and let’s go! How does an evaporative humidifier work? On what criteria should you choose your room humidifier? What are the advantages of a humidifier with hygrostat? You had questions, we have answers (or some of them!). ℹ️ As always it goes without saying, but let’s say it: we are not doctors or lawyers, and the following does not constitute legal or medical advice. When in doubt, please always stay on the safe side! The evaporative humidifier maximizes the evaporation of water in the forced air. Water droplets are not sprayed. But to be truly effective, the contact surface between water and air must be as wide as possible. To obtain the desired result, it is customary to use an antibacterial filter. In addition to humidifying the air, the evaporative humidifier also removes large particles of suspended dust, microorganisms and pollens. Excessive humidification of the room is simply impossible. When choosing a room humidifier, many criteria must be taken into consideration. The first of these criteria is the flow rate. Indeed, it is from the beginning that we allow to appreciate and characterize the density of the steam that comes out of the room humidifier. The principle of flow is not difficult to understand. The higher the announced flow rate, the faster and more efficient the diffusion of water particles into the environment. If your room is large, you will need a humidifier that offers a high flow rate. The size of the tank is also an important criterion to be taken into account. You may be wondering why? Because it is the size of the tank that regulates the operating time of the room humidifier. A humidifier with a large tank has more autonomy than a room humidifier with a medium tank. During the night, you will certainly not appreciate having to wake up in the middle of the night to fill your water tank. However, there are some things to be aware of. The size of the tank does not exempt you from regular maintenance. Leaving the water standing inside is the one thing you shouldn’t do. Then come features such as timer, automatic shutdown and room humidifier settings. Whenever possible, choose humidifiers whose operating and shutdown times can be adjusted according to your wishes. Usually newer models are equipped with them, but to avoid any disappointment, make sure you are well informed before buying. For added convenience, choose a model with a remote control so you don’t have to get up from your bed to make any adjustments. Since we are talking about a room humidifier, we must be careful with the design sound. The ideal is to choose a device that is attractive and ergonomic. The humidifier is an integral part of your daily life, and for it to be effective, it must be placed prominently on a table. So, it’s better to select a well-designed device. The models with their very modern design will bring a touch of modernity and elegance to your interior. The humidifier with hygrostat is the best-in-class type of humidifier on the market. All types of humidifiers can be equipped with a hygrostat. Before discussing the various advantages offered by a humidifier with hygrostat, why don’t you learn a little more about this practical and functional device? Whether alone or in combination with a humidifier, the hygrostat is an automatic control device designed to maintain the humidity level predefined by the user. So to speak: the hygrostat acts with humidity as the thermostat acts with heat. 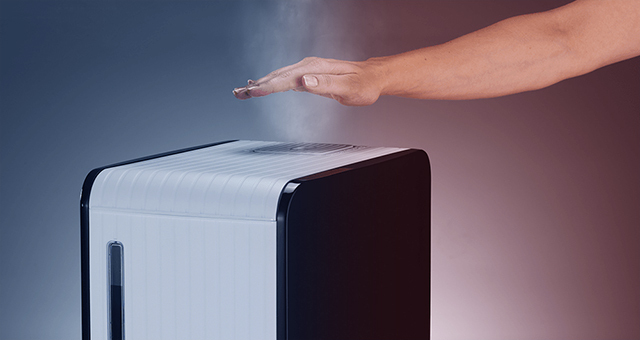 The humidifier with hygrostat can be activated and deactivated depending on the humidity level in a room. The first advantage of this option is that it is able to operate in a completely autonomous way. When the hygrostat notices that the humid air is greater than or equal to the programmed rate, it turns on the humidifier, which almost instantly diffuses water particles into the air. When he notices that the humidity in the air is constant, he stops the humidifier. You will no longer need to activate or deactivate it. As the humidifier with hygrostat is only active when the humidity level in the room is declining, it helps to optimize energy and therefore money savings. If there is one device that limits electricity consumption, it is the humidifier with a hygrostat. In addition, the humidifier with hygrostat is advantageous in that it can be installed in all rooms of the house where the air humidity must be monitored and regulated permanently (except the bathroom and kitchen). It is customary to install this device in rooms where sensitive products are stored. The humidifier can also be installed in a room that acts as an indoor garden. At times, plants just need to be cooled with moisture. Its very varied uses are precisely what makes it so charming. The role of the essential oils humidifier is to diffuse water particles into the air, but also to bring a scent and freshness to an interior. The essential oil humidifier works in much the same way as conventional humidifiers. However, have a preference for humidifiers with ultrasonic essential oils. These devices deliver a light water mist into the room. The essential oils humidifier brings to the air of a room all the water it lacks. But that’s not all. The humidifier mixes essential oils with this water in order to perfume the interior or to enjoy the benefits of its active ingredients. No one is unaware that essential oils clean the air and act beneficially on the body. It should be noted that some essential oils cannot be used in their raw state. They need a diffuser, and what better way to do this than with a humidifier for essential oils. The humidifier therefore makes it possible to control the effects of essential oils. It has been proven that the essential oil humidifier is more effective in stimulating sleep than a lime blossom infusion. 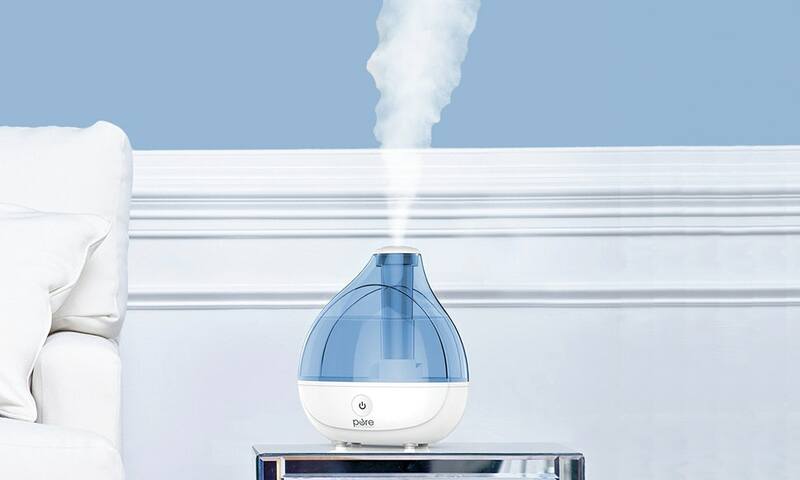 In addition, the essential oils humidifier will allow the occupants of the house, especially children, to enjoy a healthy and fragrant atmosphere all day long. Essential oils are not harmful because they are composed of strictly natural products. However, it should be stressed that the essential oils humidifier should not be used in the room of a child under 3 years of age. His immune system and lungs are still too early to be exposed to its active ingredients. Even after this age, it is preferable to control the doses of essential oils even if it is said that they can relieve nasal infections. The essential oil humidifier is maintained weekly or daily if it is running at full capacity. Before servicing, always check that the diffuser is switched off and then clean thoroughly.